← Just Where Do Drugs Come From? 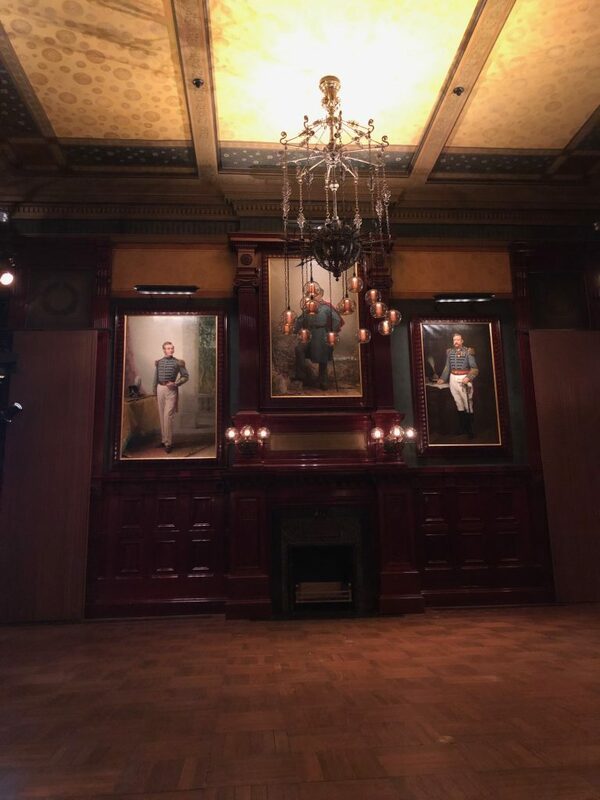 A few years ago, I attended the New York Antiquarian Book Fair at the Park Avenue Armory (or the Seventh Regiment Armory). It’s that castle-like building at 693 Park Avenue on the Upper East Side. 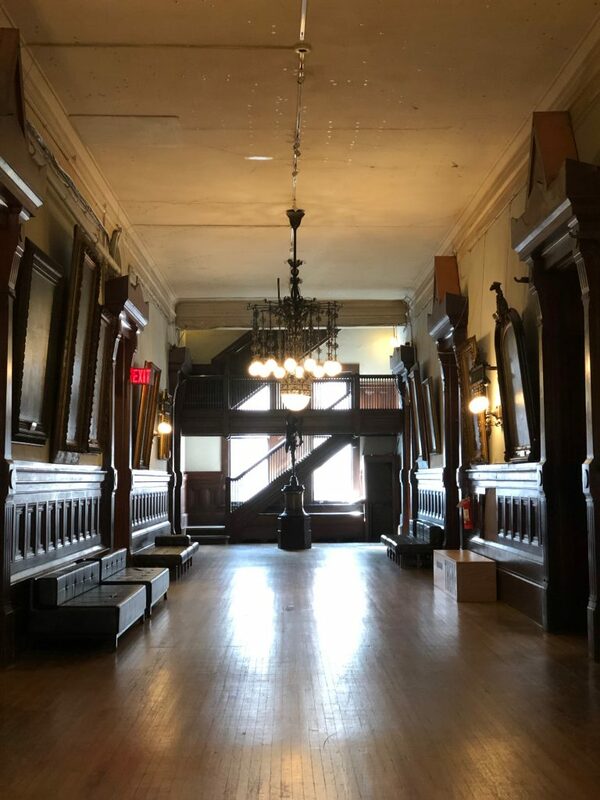 The Armory is a beautiful Gothic Revival architectural style building that fills an entire city block in New York’s Upper East Side. The building was opened in 1880. 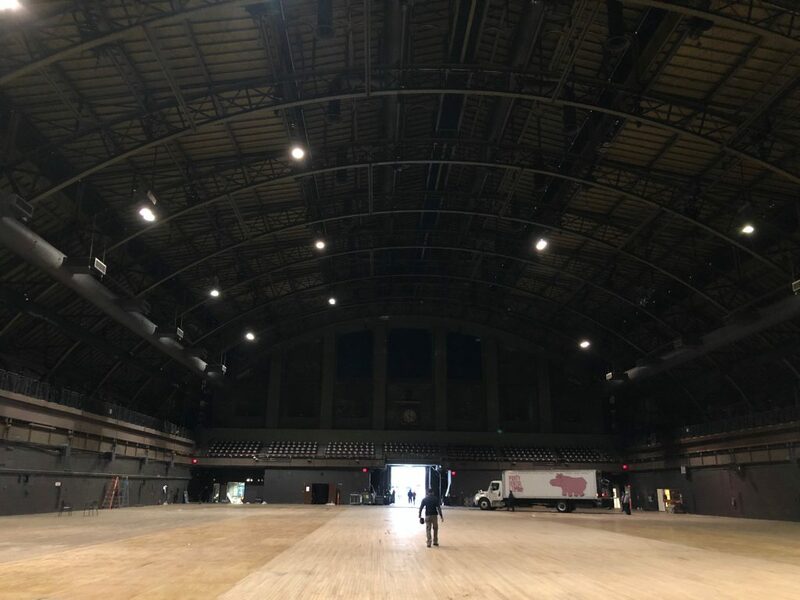 Well, even better, a few weeks ago, I got to attend a tour and lecture on the history of the Armory! What a treat. The Park Avenue Armory originally served as the headquarters and administrative building for the 7th New York Militia, known as the Silk Stocking Regiment due to the disproportionate number of its members who were part of the city’s social elite and included some of New York’s most prominent Gilded Age Families including the Vanderbilts, Van Rensselaers, Roosevelts, Stewarts, Livingstons and Harrimans. 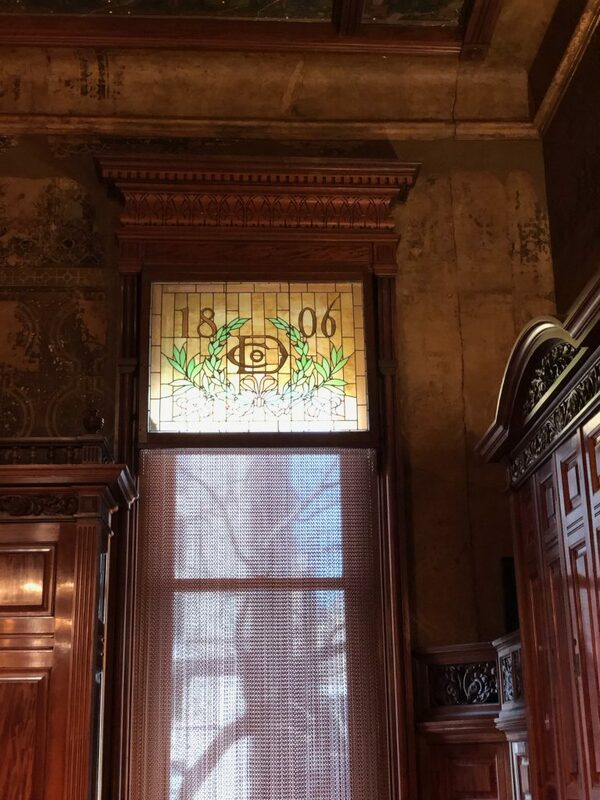 The building is known for detailed interior rooms that are furnished with ornamental woodwork, marble and stained glass. 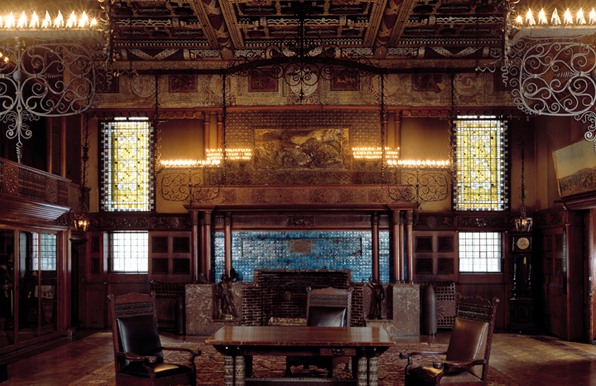 Built as both a military facility and a social club, the reception rooms on the first floor and the Company Rooms on the second floor were designed by the most prominent designers and artists of the day including Louis Comfort Tiffany, Stanford White, Herter Brothers and Pottier & Stymus. 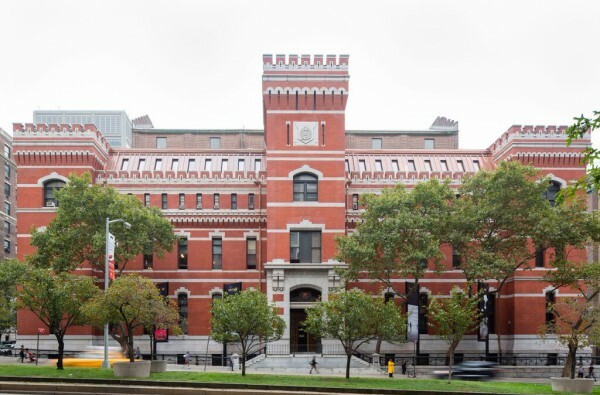 The Seventh Regiment of the National Guard built the Park Avenue Armory from 1877 to 1881 at a cost of $650,000. The original Armory was three stories and had a bell tower. In 1909, significant modifications were made, adding a fourth and fifth floor and removing the bell tower, thus giving the façade the feeling of a fortress. 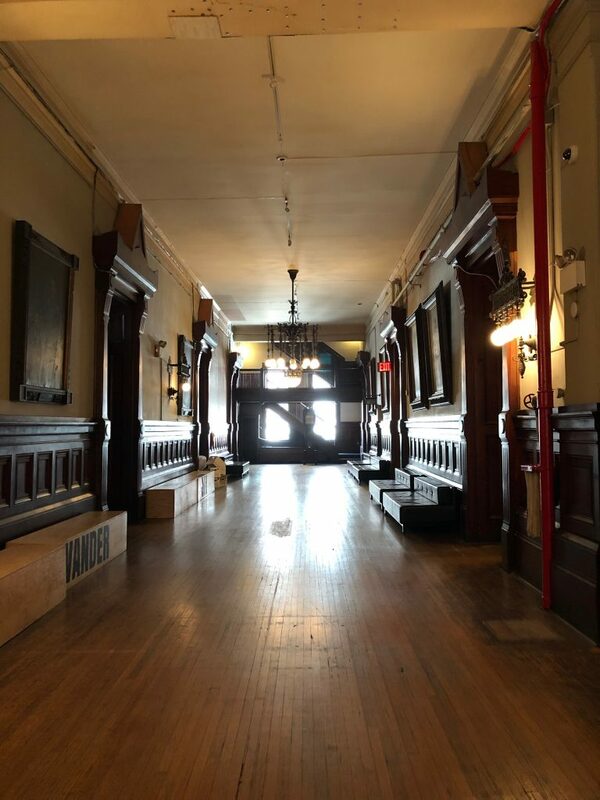 In 2000, the Armory had fallen into disrepair and was considered to be an endangered historic site. A non-profit group has taken over the task of renovations and manages a calendar of events, exhibits and performances. In addition, the National Guard still uses the Armory. Below are pictures of some of the renovated rooms and the 55,000 square-foot drill hall. The hall was designed to look like a great European train shed. 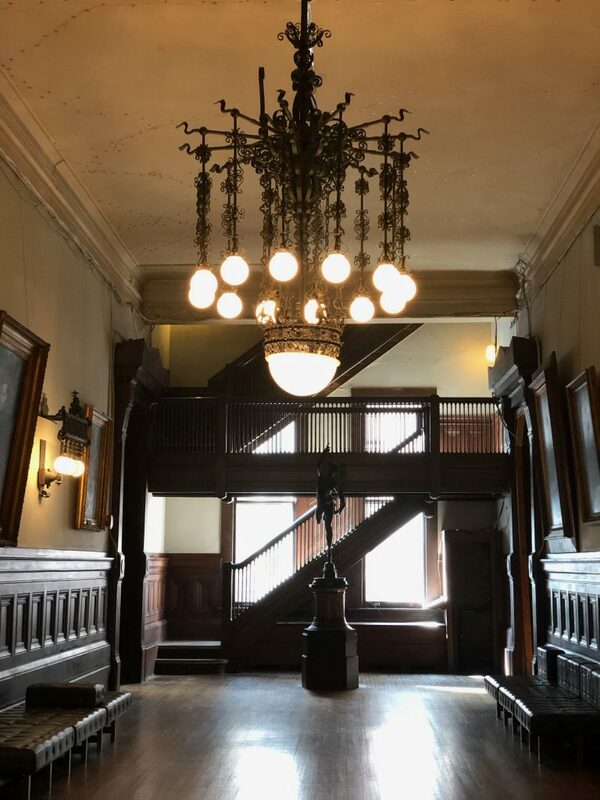 This entry was posted in Armory, New York. Bookmark the permalink. ← Just Where Do Drugs Come From?